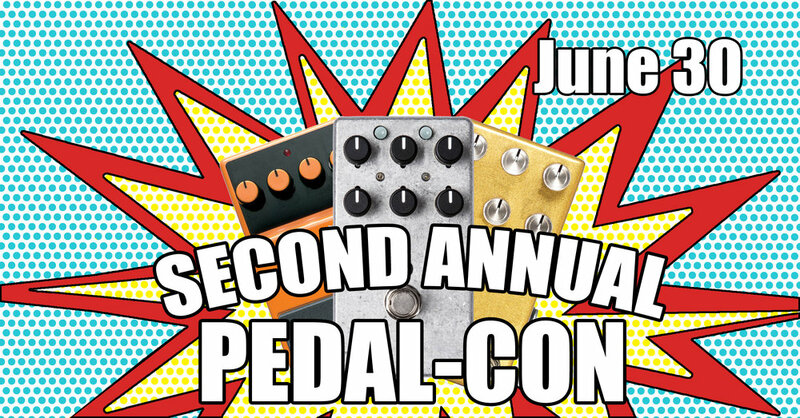 Alpha Music is hosting our Second Annual PedalCon! Last years event was a blast and this year it is even bigger! Bring your guitar to plug in and play pedals from several up-and-coming boutique pedal brands as well as a few established brands expanding their line. See and hear pedals that no one else in the area is carrying, instead of just relying on YouTube demos. We will be announcing the participating brands in the weeks to come to be sure to check the website or follow us on Facebook for all of the up to date details. We already have over 50% more pedal brands than last year! If you love pedals, this is an event you do not want to miss.